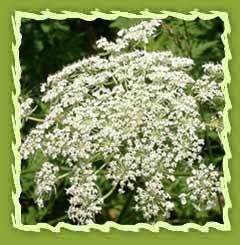 Carrot Seed oil comes from wild Queen Anne's Lace also known as Wild Carrot. The name is derived from the Greek 'Carotos' and it had great medicinal value in ancient times, especially for its carminative properties. Some of its places of origin are England, France and Europe. Carrot has been known as a medicinal and culinary plant from before the 1st century A.D. 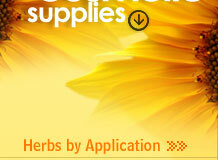 In modern application, it is used for cancer patients, especially those with stomach and throat problems. Carrot leaves are triangular to oblong, basically it's an annual herb. The stems are erect and branched generally about 2 feet high, tough and furrowed. Carrot seed oil has a slightly dry, sweet and earthy aroma. Since carrot seed oil contains carotene and vitamin A, it is also very good for healthy skin, hair, gums and teeth and is also associated with good eyesight. Chemical constituents: Carrot seed oil has various chemical compounds that include a-pinene, camphene, b-pinene, sabinene, myrcene, y-terpinene, limonene, b-bisabolene, geranyl acetate and carotol. It is helpful for arthritis, rheumatism, gout, edema and the accumulation of toxins in muscles and joints and also strengthens the mucus membranes in the nose, throat and lungs and thus having a beneficial effect on problems such as bronchitis and influenza. It relieves fluid retention and can be beneficial in cases of anorexia, while it revitalizes and tones the skin, helping in cases of dermatitis, eczema and rashes. It has a positive action on the skin, being used as a natural tanning agent and skin toner to protect aging and wrinkled skin. It is beneficial in facial washes, after-shaves and cleansing lotions for problem skin. An all around "skin" oil it improves tone and appears to have moisturizing properties. The essential oil makes a wonderful facial blend for mature and weathered skin. It is beneficial in facial washes, after- shaves and cleansing lotions for problem skin. An all around "skin" blend, it improves tone and appears to have moisturizing properties. Mildly stimulating it is reputed to have a healthful effect on the liver, the immune and lymphatic systems, and for relieving PMS and regulating monthly cycles, as well as to ease anxiety and stress. It is an interesting addition to a diffuser or personal aroma, with benefits being replenishing, nourishing, restoring. Diffusers, candles,perfumery and blending,acqa essentials,carrier oils.